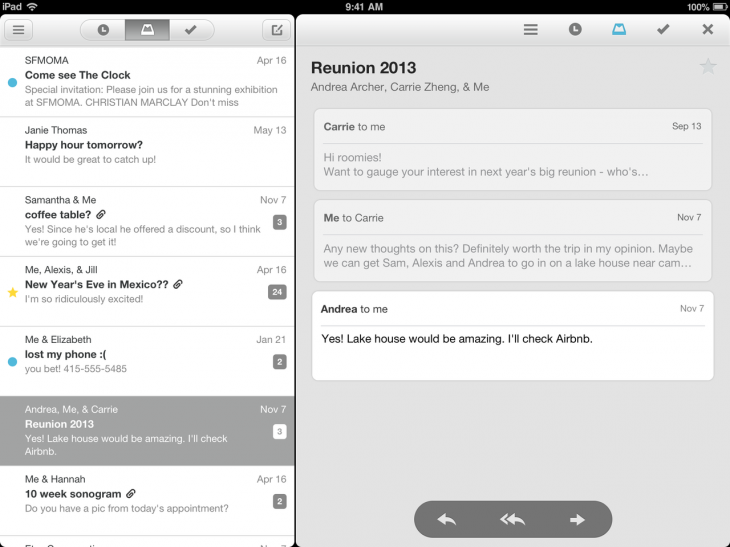 The popular Mailbox app for iPhone is finally coming to the iPad. Recently aquired by Dropbox, the iPad version of the app includes the same familar interface as before, but with a reading pane to the right. Part of the apps success is its intuitve interface. Taking mere moments to learn, it’s fluid, packed with clever animations and supports Multi-Touch features; a result of the developers aiming to create an amazing user experience. You can check out the iPad version of the app by clicking or tapping here. Spot on with this write-up, I actually assume this website wants far more consideration. I?l most likely be again to read way more, thanks for that info.